LED video screen rental is one of the fastest growing areas in the live production and event industries. Adding personality and dimension to your event has never been easier. LED displays are adaptable by nature and can be configured to serve a number of different functions in small, medium, and large setups. Along with our rental production network partners, Image is ready to help you take your live event production to the next level with LED display technology. As the industry continues to evolve and event production technology develops, Image’s ever-growing product lines provide endless solutions for all of your creative needs, with curved LED screens, creative configurations, and displays that can be designed to almost any imaginable size. While many people consider LED video wall rentals to be useful in concert and musical event settings, the truth is that LED displays can be used in a wide variety of live event scenarios. In fact, many companies are turning to rental LED screens for trade show booths, corporate events and meetings, as well as live television broadcasts and tapings. What makes your event visually compelling? 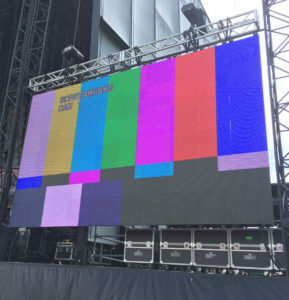 With growing trends and technology in the live production world, incorporating rental LED video screens can make your event one that attendees won’t soon forget. Captivating visuals have the power to make or break your show. With Image’s rental LED display products and control software, you are given creative freedom to create the look and feel you want with little to no limitations. Our staff has the experience needed to provide you with the LED display products you need to make your event a success. Get the most out of your production budget, whether it be a tour, concert or corporate event. Image makes LED video screen rental an effortless process that will make all the difference in the success of your event. With 24/7 technical support and strategic partnerships with our production partners, Image guarantees that your LED production rental will go off without a hitch.